Home Opinions	Will push come to shove? Will push come to shove? North Korea is at it again. After a recent United Nations Security Council vote to impose more sanctions, the nation has chosen to end it’s non-aggression pact with its southern neighbour as well as cutting the hotline between the two. The UN vote comes after North Korea’s third nuclear test last month despite general disapproval from the international community and is set to strike hardest at North Korean diplomats, cash transfers and access to luxury goods. According to CBC, North Korea’s reaction has been to claim it will retaliate with “crushing strikes” to any intrusion into North Korea, as well as threaten a pre-emptive nuclear strike against the United States. North Korea is backing itself into a corner. The international community has already condemned the country for their actions and yet they continue to press forward. In 2003, the country pulled out of the Nuclear Non-Proliferation Treaty, a treaty that was signed by most of the world’s countries. By 2006, North Korea had started testing long-range missiles, a move that the United States called “provocative.” Between then and 2009, North Korea, while it claimed to have stopped testing, threatened on several occasions to restart its testing programs. In April of 2009, North Korea announced the launch of a satellite, which drew criticism from many countries, including the United States. North Korea then announced that any sanctions or pressure applied after the testing would be considered an “act of war.” Three years later, in 2012, North Korea once again disregarded the international community and launched a long-range rocket, which put the satellite successfully into space. The UN had no choice but to take action against North Korea. After blatantly disregarding the opinion of the international community, putting aggressive sanctions in place is the best way to send a message to North Korea. Even North Korea’s biggest ally, China, voted with of the rest of the UN Security Council unanimously in favour of these sanctions. This is an especially big moment — China is historically against economic sanctions, let alone on a neighbouring country. However, North Korea seems determined to move forward with their agenda. For them, at least outwardly, this tactic is one of self-preservation. North Korea believes that having nuclear capabilities is the only form of deterrence, especially from larger countries like the United States. The country also declared some of their actions — such as launching a satellite into orbit in December 2012 — as non-violent, peaceful acts. However, the world is not convinced. As long as North Korea continues to test these advances in nuclear and missile technology, the world will be on constant alert for any sign of a threat from the East Asian country. If this conflict continues to escalate and North Korea doesn’t heed the warnings of the international community, pressure through sanctions will probably continue from the United Nations. How far is North Korea willing to push this? Are they really prepared to take the actions they claim? Will they be able to withstand the pressure from the majority of the international community? 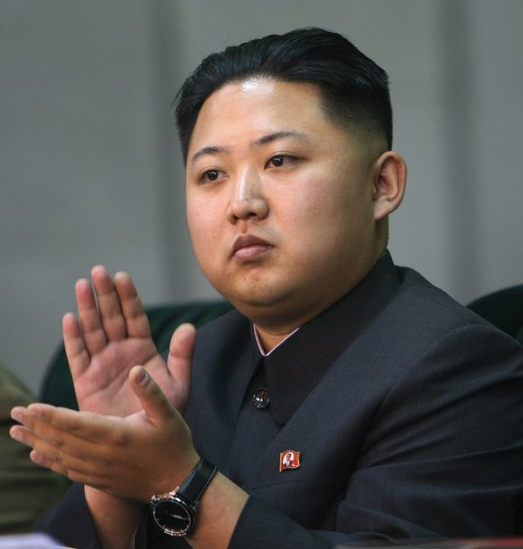 For now, the UN Security Council is content with passing sanctions against North Korea. However, if Kim Jong-un continues to push the country in this direction, this conflict could reach the point of no return.